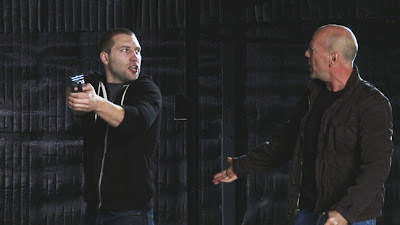 Deadline reports that Spartacus alumni Jai Courtney has been cast to play the son of John McClane (Bruce Willis) in A GOOD DAY TO DIE HARD, the fifth installment of the popular Die Hard franchise. Willis returns to play the iconic NYC cop with John Moore on board to direct the film that has a release date set for February 14, 2013. A Good Day To Die Hard puts McClane on an international stage, truly a NYC fish out of water in Moscow, and introduces his estranged son Jack (Courtney). An apple that has not fallen far from the tree, Jack may even be more of a hardass than his father. Despite their differences, they must work together to keep each other alive and keep the world safe for democracy.